What is folate, or folic acid? Healthline explains that it is a type of B vitamin which helps our bodies to make and repair DNA, and to produce red blood cells. Folate is water-soluble, so it can't be stored in our bodies long-term - we simply expel excess amounts in our urine. This means that we need to constantly replenish our supply of folate, or we can become deficient in just a matter of weeks. The main reason for folate deficiencies is a lack of certain foods in the diet. However, folate deficiencies can also be caused by certain gastro-intestinal diseases like Coeliac or Crohn's Disease, or certain genetic conditions, and it can be caused by excessive alcohol intake or particular medications. Symptoms of folate deficiency generally fall under two categories: general folate deficiency symptoms, and symptoms related to folate deficiency anemia. We've listed the key symptoms to look out for below. 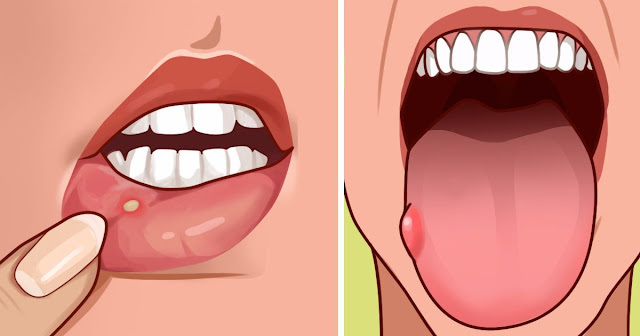 1) Mouth sores or a swollen tongue. eMedicine explains that this symptom may occur before anemia has set in. The tongue may look "beefy", red or shiny, usually around the edges and tip to begin with. Oral lesions can occur before and throughout the period of anemia. 2) Reduced sense of taste. NetDoctor explains that you may have trouble tasting your food, in addition to the mouth sores. 3) Gastrointestinal issues. Anaemia often brings with it bowel issues, but before that sets in you might experience indigestion and diarrhea. 4) Persistent fatigue, weakness, and pale skin. WebMD explains that our bodies need red blood cells to carry oxygen around our bodies, and to our muscle tissue. Folate is responsible for creating the red blood cells, so when we are deficient in folate then we simply don't have enough red blood cells to maintain our normal physical activity. This is called folate deficiency anemia. 5) Shortness of breath, or dizziness. Netdoctor explains that this symptom, along with fainting, is common, and that you also might have an increased awareness of your heartbeat with some palpitations noticeable. 6) Trouble concentrating. You might also feel lightheaded or be increasingly forgetful, according to WebMD. Irritability is also a common symptom. 7) Body pains. When the anemia is severe it can result in chest pain, leg pains and headaches, according to Netdoctor. The good news is that folate deficiency can be resolved as quickly as it can set in, and the easiest way is through your diet. Try eating lots of dark green veggies like broccoli, Brussels sprouts and asparagus, as well as citrus fruit and fortified breakfast cereals. You might have heard that folate is vital for pregnant women, and that's because it helps in the development of a healthy spinal cord when the foetus is very young. If you are pregnant or planning to become pregnant, you should consider a folic acid supplement.